The Whitespotted Filefish (Cantherhines macrocerus) inhabits Florida and the Caribbean Sea. It is usually found in pairs. 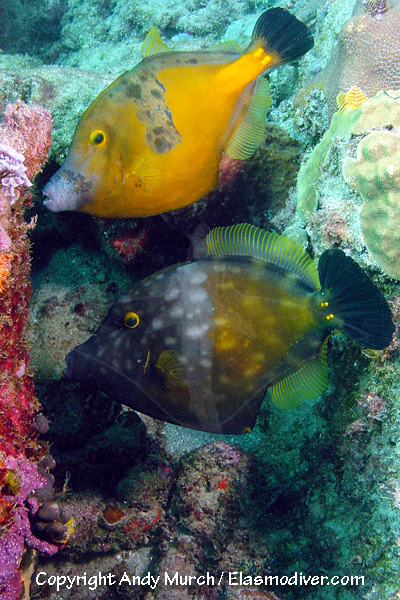 Whitespotted filefish do not always display vivid white spots. 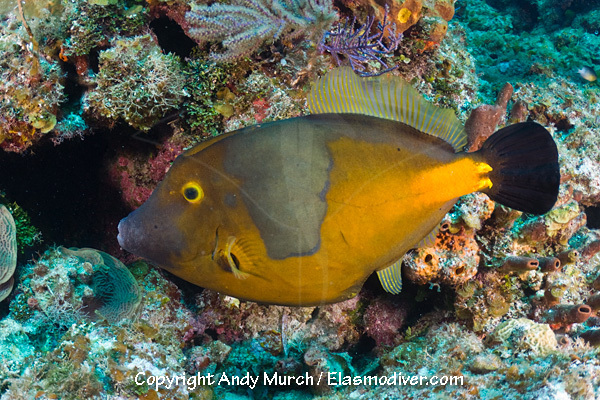 These Whitespotted Filefish pictures are available for commercial licensing. For further information regarding usage please e-mail Elasmodiver. All of the images on elasmodiver.com are rights protected. No unauthorized use of these Whitespotted Filefish pictures is permitted. Please contact elasmodiver for further information.